This Boncom campaign featured video and print ads to help curb Utah’s addiction to prescription opioids. In addition to waking up Utah to the alarming danger of opioid abuse, Boncom raised awareness about the life-saving difference Naloxone kits can make in the event of an overdose. The integrated campaign ran across multiple mediums, including TV, social, digital, billboard, website, brochures, and posters. In the year that it ran, Utah overdose deaths fell by 10.6 percent, which was the most significant decrease of any state in the nation during that period. This campaign portrayed the very personal reality of Utah’s opioid epidemic through a series of real-life stories from Utahns across the entire state. These testimonials resonated powerfully on social media, with Amber’s video going viral and garnering more than three million views. In addition, 21 billboards generated more than 30 million impressions with a strategic 12-week ad buy, which garnered an estimated added value of over 90 million impressions over 25 weeks. 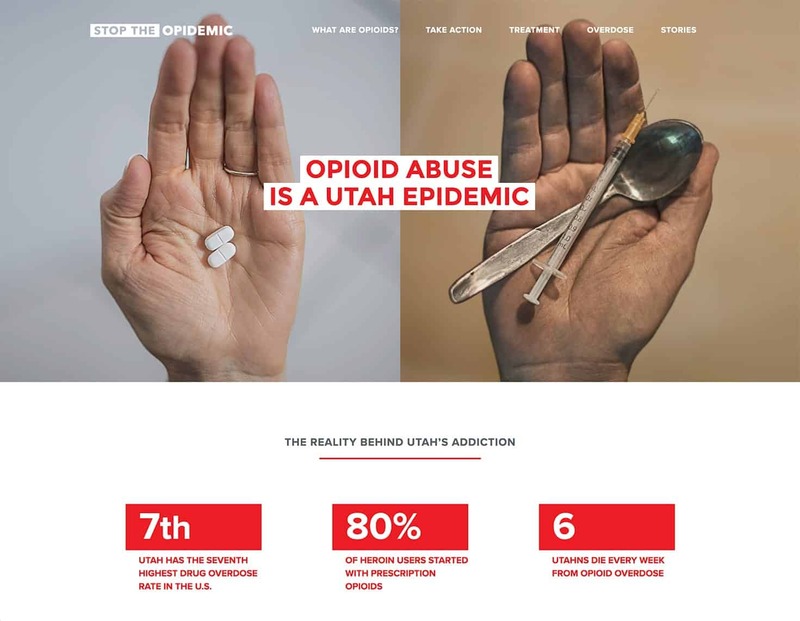 Opidemic.org provided a hub to educate Utahns about different types of opioids, signs and symptoms of overdose, naloxone, and treatment options. It also provided a forum for the community to come together and share their stories of hope, loss, and redemption. The results Utah had in fighting the opioid epidemic caught the attention of the White House. Our client has been invited to Washington to discuss the success of the campaign. This campaign was awarded the 2017 Innovative Initiative of the Year Award from the Safe States Alliance, an organization focused on strengthen the practice of injury and violence prevention.